I know we encroach on nature in many places in this country. I thought it would be sort of cool to start a photo thread of the wildlife that survives in the urban and rural settings of Middle Tennessee. 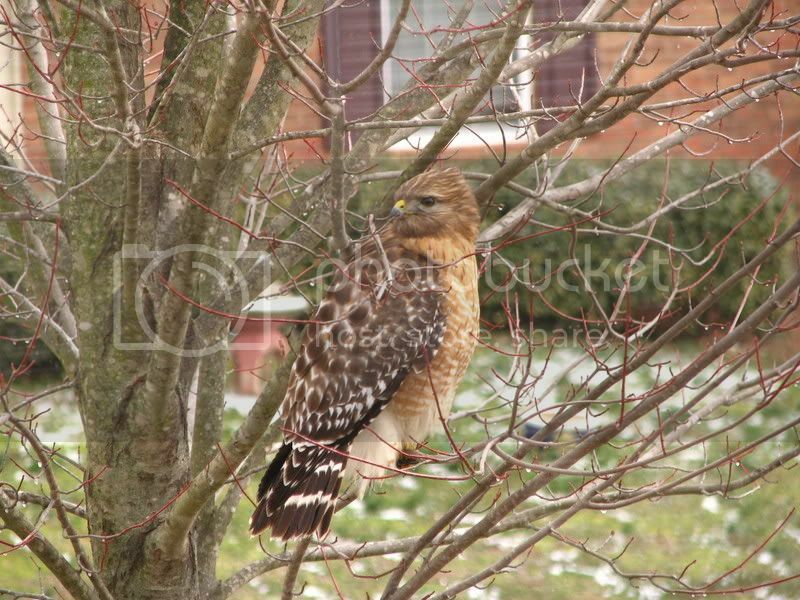 I think this is a Red Shouldered Hawk that landed right outside my window the other day. 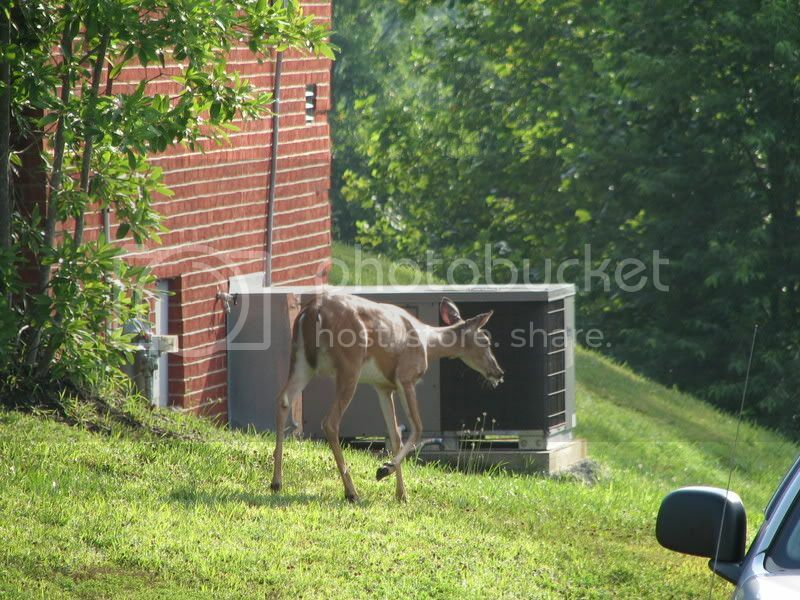 I have some other photos of deer and other animals that frequent my neighborhood that I have to find. I live 20 minutes from DT Nashville, but only about 2 miles from a wildlife refuge. What a great picture, Ron! How far away were you when you took it? It looks like you were right next to him. Whats so funny is that this was taken through a window and he was only about 20 feet from me. I have had deer walking arond the house all the time about as close as the Hawk was. I have a possum. Does that count? Just as much as those blasted Groundhogs I have in my BY. Those suckers eat everything. 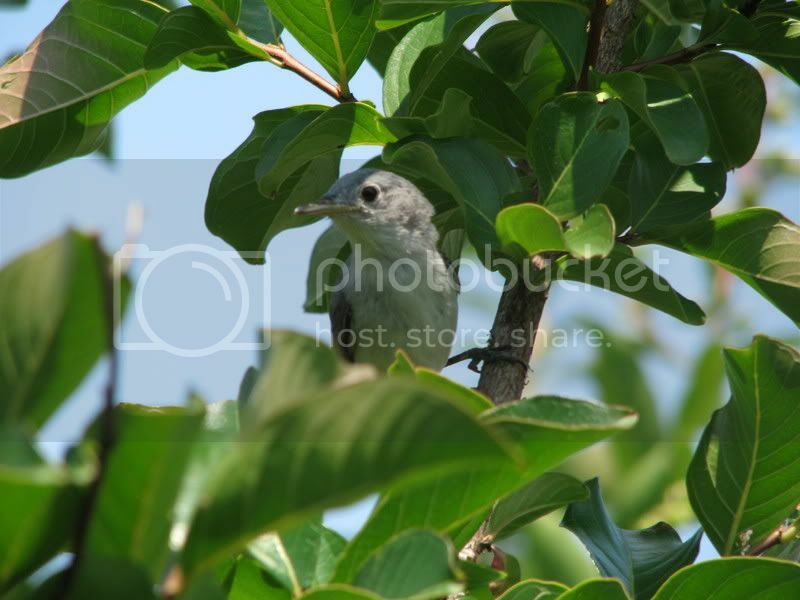 I have a few pics of them I think, If I can remember what file they are in. I have a possum, too. It comes right up to the back door and eats the cats food. It gives me the creeps when I open the back door and that thing is there. I think I startle it as much as it startles me. The picture of the hawk is great. Great pic. Larger birds like hawks and falcons look so majestic. I saw a Falcon DT a while back hunting for breakfast. I found a few more shots. I think I must have deleted the rest. I had one with three deer and another with a ten point buck eating out of a bird feeder. 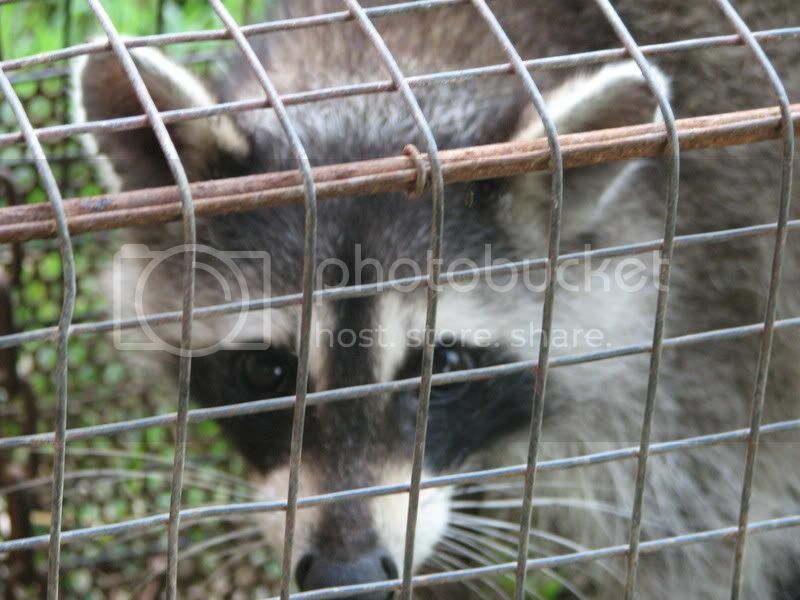 This little fellow decided to get caught after prowling through the trash. I took him a few miles away for a new home. Needless to say the trash has bricks on the lid now.